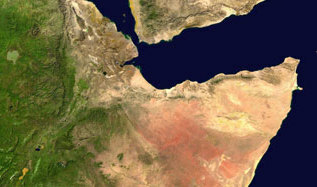 Two perfect storms have struck the Arab world in the past decade. In 2011, in what was at first optimistically called “the Arab Spring,” popular uprisings unseated autocrats across the region. Hopes ran high that these peaceful protest movements would usher in a new era of democracy in the Middle East. But except in Tunisia, they ended in turmoil or deadly civil wars. Then, in 2014, the region’s leaders were dealt another blow when the price of oil plummeted, threatening the basic model of governance on which their power rested. Low oil prices since have made it difficult for regimes to fund bloated budgets, buy off elites, and hold up long-postponed reforms. This is not a temporary aberration: it is unlikely that the price of oil will ever again rise to its pre-2014 levels. On the surface, many Arab states appear to have weathered these two storms—however shakily. But there is more turbulence ahead. The shocks of 2011 and 2014 were just the first symptoms of a deeper transformation under way in the region: the fundamental bargain underpinning stability in Middle Eastern states is coming undone, and unless regional leaders move quickly to strike new bargains with their citizens, even larger storms will come. For more than half a century, Middle Eastern governments have used oil wealth to fund a system of economic patronage. Known as “rentier states,” these governments derive a substantial portion of their revenue from selling off national resources or bargaining for foreign backing rather than extracting taxes from citizens. In some countries, such as Saudi Arabia and the United Arab Emirates (UAE), the revenue has come from the sale of domestic oil resources; in others, such as Egypt and Jordan, they have come in the form of transfers from regional patrons with oil wealth. Throughout the Middle East, governments have used oil resources to fund stable jobs, education, and health care, and in return, leaders have received political submission. But as oil prices have remained low and the region’s demographics have shifted, that basic tradeoff has begun to seem unsustainable. Without the revenue necessary to continue feeding bloated, inefficient systems, governments are struggling to hold up their end of the bargain. Their primary source of political legitimacy is slipping away. If they respond to these shifting fortunes by tightening their grip on power and failing to implement meaningful reforms, Middle Eastern governments risk unleashing social unrest on a scale beyond anything they’ve seen before. The only way around such a disruption will involve economic and political reforms that create a fundamentally new social contract in the Middle East, one negotiated from the bottom up. Without the rentier model to lean on, governments must build productive economies that are based on merit rather than loyalty and dominated by the private sector rather than the state. Because such large structural changes will create pushback and problems of their own, they will be impossible without the buy-in of the public. Economic adjustments will not succeed without political changes that are at least as dramatic. If Middle Eastern governments embrace economic reforms in conjunction with greater political accountability and participation, they may have a fighting chance at long-term stability. If they do not, the next, larger storm will arrive before long. The social contracts binding Middle Eastern governments and their citizens have traditionally been imposed from the top down. These authoritarian bargains, in which rulers secure legitimacy and support through public spending rather than participatory political processes, have been predicated on a rentier system. Using oil wealth, governments would provide economic patronage, acting as the main purveyors of jobs, subsidies, and basic health care and education. The oil-producing states—Algeria, Bahrain, Iran, Iraq, Kuwait, Libya, Oman, Qatar, Saudi Arabia, and the UAE—used revenue from the sale of their own oil. Oil-importing states—Egypt, Jordan, Morocco, and Tunisia—relied on large grants from their flush oil-producing neighbors and remittances from their citizens working abroad in the oil industry. The Gulf states supported oil-importing countries, especially Egypt and Jordan, for political reasons (to ensure that these countries’ positions were largely in line with their own) and economic ones (Egypt and Jordan provided cheap, educated labor). By the turn of the century, grants and remittances accounted for, on average, over ten percent of Egypt’s and Jordan’s GDPs. Rentierism took different forms in different states, but in one way or another, oil revenues long allowed many oil-importing Middle Eastern countries to live beyond their means. In return for their patronage, states expected citizens to leave governing to a small elite, which, over time, became more and more isolated from the general population. Meanwhile, oil rents helped regimes buttress themselves with political, economic, and bureaucratic circles whose loyalty was ensured and whose interests were tied to their own. The more jobs and subsidies governments could provide, the better. But rather than creating jobs through productive systems based on merit and led by the private sector, they found that providing public-sector jobs, whether or not they were useful, was the best way to ensure allegiance and dampen demands for accountability. The ratio of public-sector jobs to private-sector jobs in the Middle East and North Africa was the highest in the world. Social contracts predicated on rentierism functioned throughout the second half of the twentieth century—that is, for as long as citizens considered the services provided in exchange for their acquiescence to be at least minimally satisfactory. But in the 1990s, the conditions states needed to hold up their end of the deal had begun to disappear. As governments grew, they needed the price of oil to remain high in order to fund expanding bureaucracies and the needs of elites. States were stretched well beyond their means. In Jordan, for example, the government and the army employed a whopping 42 percent of the labor force by the early years of this century. Energy subsidies provided by the government to citizens reached 11 percent of GDP in Egypt, ten percent in Saudi Arabia, nine percent in Libya, eight and a half percent in Bahrain and the UAE, and eight percent in Kuwait. Once the size of these states’ bureaucracies began to outpace the rise in oil prices at the turn of the century, something had to give. Governments could no longer afford to hire more people or pay for subsidies on commodities such as bread and gasoline. Unemployment rates in the Middle East and North Africa reached an average of 11 percent in 2000; among young people, the average was 30 percent. As governments struggled to maintain bloated states, the quality of health and educational services started to decline. But rather than offer citizens more political representation to help ease the blow, governments continued to insist that citizens uphold their end of the authoritarian bargain—refrain from demanding greater influence—even as leaders came up short on theirs. Many Middle Eastern governments tried to address the fracturing of the old social contract by introducing economic reforms without accompanying political changes. Although these reforms were largely intended to help regimes preserve their grip on power, some of them, if well implemented, could have also benefited citizens. But without the systems of checks and balances necessary to oversee economic transformations, even well-intended efforts—privatizing state-run industries, liberalizing trading systems, integrating into the global economy—ended up benefiting elites rather than the broader population. Without proper monitoring bodies, corruption skyrocketed. Most Middle Eastern publics came to associate the economic reforms of the beginning of this century with elite self-enrichment rather than their own betterment. The ranking of several Middle Eastern countries on Transparency International’s Corruption Perceptions Index declined considerably. Jordan fell from a ranking of 43 (out of 133 countries) in 2003 to 50 (out of 178) in 2010. During the same period, Egypt’s ranking fell from 70 to 98, and Tunisia’s from 39 to 59. In some cases, the breaking of the old social contract proved too much for societies to bear. Although it was by no means the only factor that led to the Arab uprisings of 2011, it contributed to the collapse of several regimes, particularly those in countries where institutions were already weak. Tunisian President Zine el-Abidine Ben Ali and Egyptian President Hosni Mubarak were the first to fall. In Libya, Syria, and Yemen, where the sitting regimes had never been interested in building solid institutions, street protests overwhelmed weak states and led to the crumbling of the existing order and, ultimately, civil war. 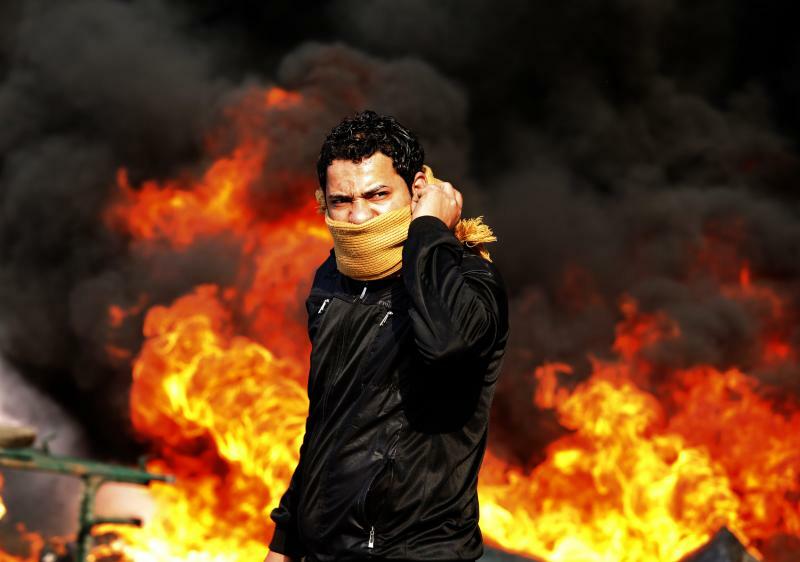 In Bahrain, antigovernment demonstrations gave way to an ongoing low-level insurgency that has irritated but not seriously threatened the monarchy. The monarchies in Jordan and Morocco faced sustained protests but survived the upheaval relatively unscathed. In the Gulf countries, regimes had a solution at hand, at least in the short term: throw money at the problem in order to pacify the public. King Abdullah of Saudi Arabia promised an aid package of $130 billion that included higher salaries and more housing assistance for Saudi citizens. Other Gulf governments offered similar packages, all made possible by high oil prices. In February 2011, the Kuwaiti government gave every citizen 1,000 Kuwaiti dinars (about $3,560) and free staple foods for over a year. In Oman, the government funded 30,000 more jobs and 40 percent more university scholarships. In Jordan, King Abdullah responded to protests by immediately introducing ad hoc reform measures that helped temporarily stave off discontent. A $5 billion aid package put together by various Gulf states helped the country withstand the pressure from the street. But even this turned out to be only enough to quell dissent until the next storm struck, in 2014. The uprisings of 2011 should have taught Middle Eastern governments that serious attention to governance was long overdue. The uprisings of 2011 should have taught Middle Eastern governments that serious attention to governance—not just economic reforms—was long overdue. But once the initial pressure had subsided, the surviving governments reverted to their old habits almost immediately. They were bolstered in their turn back toward authoritarianism by the violence and enormous human suffering unfolding in Libya, Syria, and Yemen, as well as by the rise of Islamists in Egypt, which discouraged citizens elsewhere from pursuing further confrontations with the state. Then came the next shock. In August 2014, the price of oil, which had reached over $140 a barrel in 2008, fell below $100 a barrel. It reached a low of $30 a barrel in 2016 before rebounding to around $70 a barrel, where it remains today. For Saudi Arabia, which needs the price of oil to stay above approximately $85–$87 a barrel to maintain a balanced budget and to fund lavish assistance to other regional governments, this decline meant that the government had to dramatically change its spending habits to avoid going into debt. Other grant-giving countries, such as Kuwait and the UAE, also had to curtail their regional assistance. Across the Middle East, oil producers could no longer afford to function as welfare states, and oil-importing countries could no longer rely on grants awarded by oil-producing ones or remittances from their citizens working in those countries to finance their patronage systems. The end of the era of high oil prices triggered a new wave of protests. In 2018, demands for change escalated in Saudi Arabia, including by leading preachers, women, and political activists, and Jordan witnessed street protests for the first time since the Arab Spring. These two countries illustrate particularly well the repercussions of the end of rentierism in the region. The first, Saudi Arabia, is an example of an oil-producing country that can no longer act as welfare state. The second, Jordan, is an example of an oil-importing country that can no longer depend on oil money from abroad to fuel an inefficient economic and political system. In Saudi Arabia, the end of high oil prices coincided with the passing of power to a new generation of leaders—most prominent among them Crown Prince Mohammed bin Salman, also known as MBS. The economic writing was on the wall for Saudi Arabia well before MBS, who is only in his early 30s, rose to prominence. Starting in 2015, large deficits meant that Saudi Arabia could no longer afford to maintain its generous internal and external subsidies. In 2017, the budget deficit reached $61 billion, or 9.2 percent of GDP. The country expects to run deficits until at least 2023. As a consequence, the Saudi government has cut subsidies and allowed the price of services to rise. Saudi Arabia’s regional interventions in Syria, Yemen, and elsewhere have further strained its struggling economy. The Yemeni war alone is estimated to cost the Saudi government $6–$7 billion each month. The Saudi government has responded to this new reality with a weak package of reforms that are unlikely to fully address the challenges. In an attempt to boost the country’s stagnant economy, the government announced a radically expansionary budget for 2018 but offered no sense of how it will be financed. The Saudi government has stopped its traditional assistance to Jordan for three years and can no longer support the regime of Abdel Fattah el-Sisi in Egypt to the tune of tens of billions of dollars each year, a program the Saudis began after Sisi ousted Egypt’s Islamist government in 2013. It has also embarked on an impressive social reform agenda, including allowing women to drive, reopening movie theaters, and curtailing the powers of the Islamist police force, in what is probably an effort to appease the new generation and divert attention from demands for political reform. These social reforms have gained MBS significant popularity among young Saudis. But youth unemployment in the kingdom remains staggering: it reached almost 35 percent in 2017. Will the new generation accept austerity and the loss of privileges and subsidies without more of a voice in the running of their country in exchange? If the revolts of 2011 offer any evidence, the answer is likely no. The Jordanian example, in particular, suggests that continued economic austerity, coupled with over 30 percent youth unemployment, is likely to push the new generation to demand more of a voice. Those demands may even include calls for the introduction of an elected parliament, which would be a first in Saudi history. Saudi Arabia is not the only Gulf country facing the challenge of low oil prices. Kuwait, which already has an elected parliament, faced a drop in its oil revenues of around $15 billion in 2014 and again in 2015. As in the Saudi case, Kuwait first relied on its massive fiscal reserves (estimated at over $600 billion) but is now introducing cuts in subsidies and a medium-term plan of economic reforms that will begin steering the Kuwaiti economy away from its reliance on oil. Oman has reacted similarly to the low oil prices: cutting subsidies, reducing benefits for public-sector workers, and hiking taxes. In Jordan, declining financial support from neighboring oil-producing countries and a drop in remittances have challenged the government’s ability to continue funding a system of economic patronage. 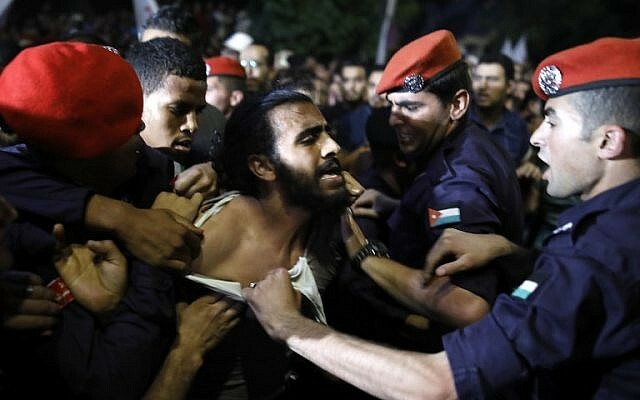 Although Jordan is ruled by a monarchy that much of society accepts as legitimate, recent waves of protests suggest that the system is more vulnerable than many think. The monarchy has traditionally responded to demands for reform by implementing ad hoc measures that pacify the public but never result in true power sharing with the legislative and judicial branches of government. Essential to such measures has been generous financial aid from the Gulf states (and other powers, including the United States), which has allowed the Jordanian government to maintain an inefficient, patronage-based political and economic system. The government has used the money to continue buying the support of the elite and funding a bloated bureaucracy in a system that prioritizes patronage over merit. In 2011 and 2012, large-scale protests erupted throughout Jordan in response to economic and political grievances, but they petered out after King Abdullah made a series of political reforms and regional instability directed attention elsewhere. But King Abdullah’s actions—firing prime ministers, reforming the constitution, and replacing the government three times in 18 months—were quick fixes designed to appease the protesters rather than lasting, serious reforms. By 2016, Jordan’s political elite was so confident that it had gotten through the Arab uprisings unharmed that it amended the constitution to give the king additional powers and further consolidate the executive branch’s grip on power. Apparent stability concealed deeper problems. Successive Jordanian governments have treated such challenges as purely technical problems. Among the public, however, demands have escalated beyond the need for economic changes. In May 2018, protests erupted throughout Jordan, particularly in affluent neighborhoods in western Amman, led by the middle class (the Islamists, who had spearheaded protests in 2011 and 2012, were conspicuously absent). In addition to calling for the withdrawal of a controversial income tax law, the protesters demanded the dissolution of Parliament and a change of government. Evidently, King Abdullah’s quick fixes in 2011 and 2012 failed to address the roots of the unrest: without the rents necessary to keep funding a system of patronage, the social contract in Jordan has broken down. Durable solutions to the protesters’ demands will require a new social contract, not symbolic reforms. Egypt continues to suffer from the economic effects of its revolution and from the decrease in the massive assistance it used to receive from Saudi Arabia and the UAE. In 2016, two years after that Gulf assistance dropped, Egypt floated its currency and had to rely on a $12 billion loan from the International Monetary Fund to help it restore economic stability. The one notable exception to the current state of affairs in the Middle East is Tunisia. After its revolution in 2011, Tunisia may not have solved its political, economic, and security issues, but its leaders understood the need for a new social contract. For three difficult years, an elected constituent assembly negotiated and ultimately agreed on a new constitution that upheld the principle of the peaceful rotation of power, gave women almost full rights, and affirmed a commitment to the collective and individual rights of all parts of Tunisian society. Tunisia is by no means out of the woods, but it has achieved a solid footing for future stability and prosperity. If the message coming from the Arab street was lost on the region’s leaders in 2011, in part due to the failure of the protests to spark serious efforts to build new institutions (except in Tunisia), the end of rentierism is giving Middle Eastern governments another chance to hear it. Economic reforms must be accompanied by political ones that give people a meaningful say in the running of their countries. The transition to more efficient economies is sure to be slow and rocky and to face significant pushback from the forces that benefit from the status quo. Decades-old rentier systems have created vested interests with little desire to usher in merit-based structures that might rob them of their privileges. Political will at the top will be needed to put in place gradual, serious, and participatory processes that the public can believe in. The necessary reforms will require a period of material hardship. Middle Eastern citizens will accept short-term sacrifices in the name of badly needed long-term change—but only if they are included in the process and guided by leadership they can trust. Middle Eastern governments should begin this process by doing more to empower women. Women’s participation in the work force in the region is the lowest in the world (32 percent, compared with a world average of 58 percent, according to a 2009 World Bank report). Governments must also better exploit technology to raise productivity and gear their efforts toward a more knowledge-based economy. They must rapidly diversify their sources of revenue away from oil by empowering the private sector and encouraging public-private partnerships. And they must promote the rule of law and a culture of equality among all citizens, which will help foster innovation. This will require ending legal discrimination against women and minority groups. Critically, governments cannot remain the primary employers in Middle Eastern countries. Fostering the proper legal and financial environments to promote the private sector, particularly small and medium-sized enterprises, will help companies expand and replace public-sector jobs. This is easier said than done: outdated educational systems and inadequate health services have left large parts of the population in most Middle Eastern states ill equipped for work in the private sector. In order to minimize unemployment and hardship, transitions to economies dominated by the private sector must include big changes to educational and health-care systems. In particular, schools and universities need to shift from promoting the rote learning of absolute truths toward encouraging critical thinking, innovation, and the acceptance of diverse viewpoints. Even if governments start now, these changes will require a generation or two to fully take effect. But the uprisings of 2011 should have already taught Middle Eastern leaders that they are short on time. They must make painful economic decisions now to avoid worse suffering down the road. And whether leaders like it or not, the consent of the governed will be a critical factor in the success of transitions from rentier economies to productive systems. Citizens and leaders will have to agree on a new social contract. This time, rather than governments imposing contracts from the top down, the ethnically, culturally, and religiously diverse communities that make up Middle Eastern countries must be allowed to negotiate them from the bottom up. Forging this new social contract will require visionary leaders who have the will to stand up to their country’s own elite, who grasp that the way to keep power is to share it, and who can persuade the populace that they are capable of guiding it to a better future. Sadly, not many such leaders exist today. (They are rare everywhere, not just in the Middle East.) But Middle Eastern governments have no choice. If they continue to ignore the need for change, the havoc to come will bring change on its own.